Hey friends. I posted about this on my Instagram so most of you (hopefully) follow me on there (@plastersforhearts). But I thought I'd write a short post going into a bit more detail. 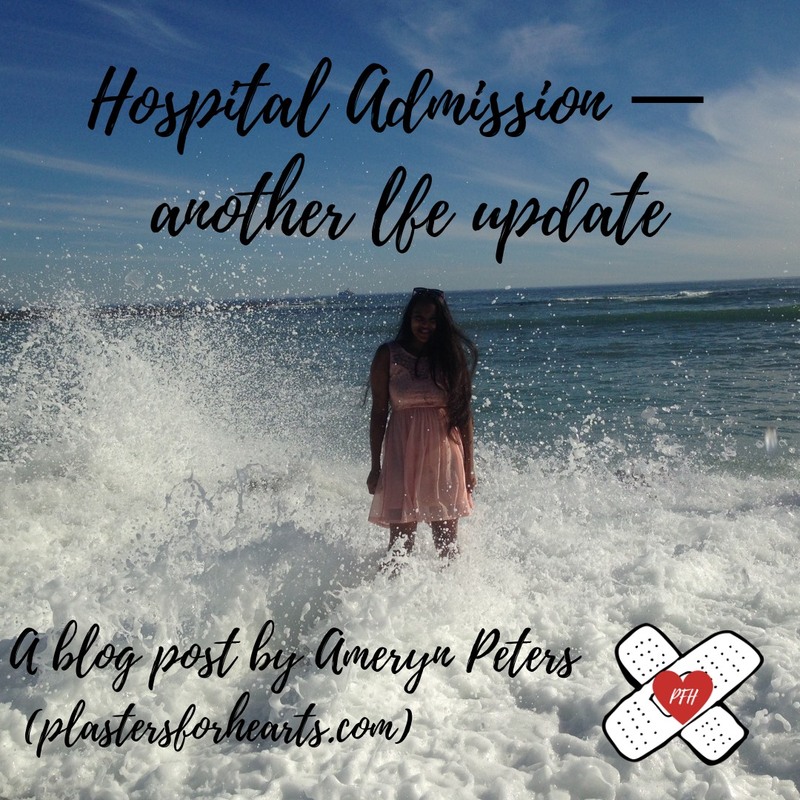 I will be going on a (hopefully) short hiatus as I will soon be admitted to an eating disorder unit in a hospital here in Cape Town. It took me a long time for me to come to the realization that I needed help. And so I am going to tell you the events that lead up to this realization. After school ended about a week ago, I fell into a huge bout of depression. I won't go into too much detail, since I already have a post entitled "A day in my depressive episode". But in summary, I was so depressed that I couldn't get out of bed and ate the bare minimum to stay alive. A few days into the holidays, I saw my psychologist. I was so down and I had no hope. I told him that I wanted to get better, but I didn't know how. He said that it was clear that the out-patient treatment that I was receiving from my psychologist and psychiatrist were not enough. He recommended I get admitted to an eating disorder unit. I adamantly said no, because I'm in my final year of school and I can't afford to miss that much school. I had never felt so hopeless in my life, because I hated myself for not having the motivation to do any school work. I left the session in tears and cried all the way home. As soon as I got home, I called Ms Sole (my piano teacher). I called her because I think that deep down, I knew I needed to be admitted, but I knew that she was the only person who could convince me, since she had also dealt with eating disorders in the past. My intuition (or rather, I believe that it was the Holy Spirit that told me to call her) was obviously right. Because she told me all the things that I had knew all along: 1) I need help and just going to therapy is not enough. I need in-patient treatment. 2) If I don't get help now, I won't even be able to make it through my last year of school because I'm constantly dizzy and on the verge of fainting because my body doesn't have enough energy, which means that I can't concentrate in class so it would be useless going to school anyway And 3) If this doesn't happen now, it will eventually happen and I'm lucky to have it happen now, instead of during final exams or in university. So now I am determined to get better. 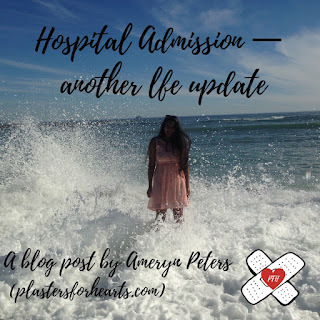 I will get better for myself, for the people around me who love and support me, and for all the people in the future that I will be able to help, including through this blog. I will get better for the future that I want. I will get better for my future family. ""For I know the plans I have for you' Says the LORD, 'plans to prosper you and not to harm you, plans to give you hope and a future'"
I'll be gone for a while, but in the meantime, have a wonderful day, you precious, precious creation.